By Mrs Beecham in Uncategorised on 2nd February 2018 . 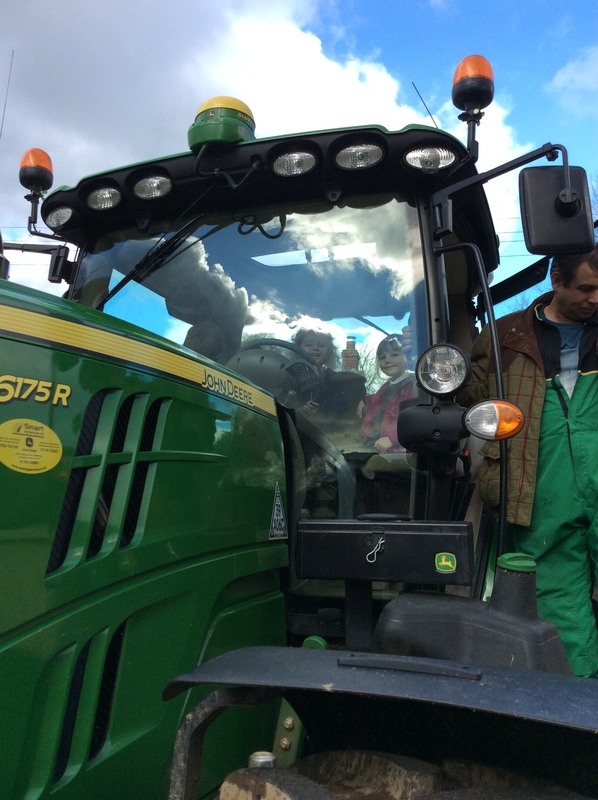 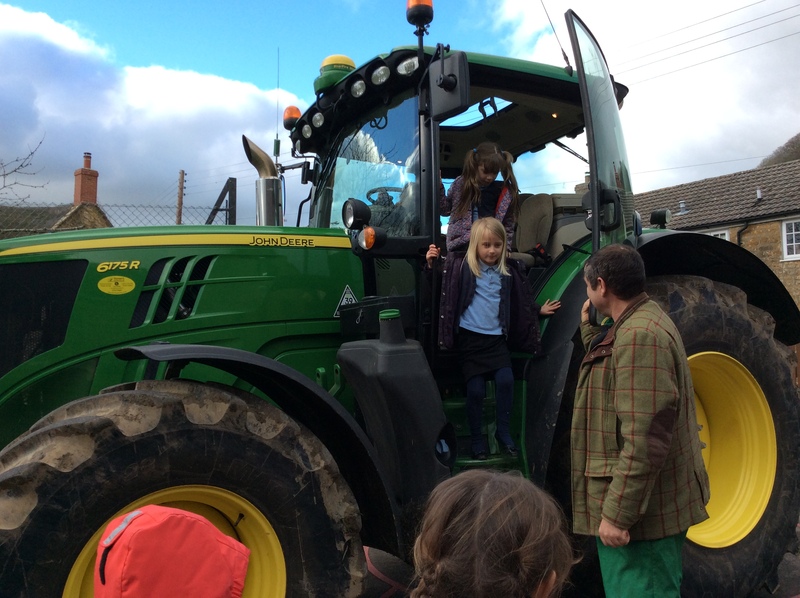 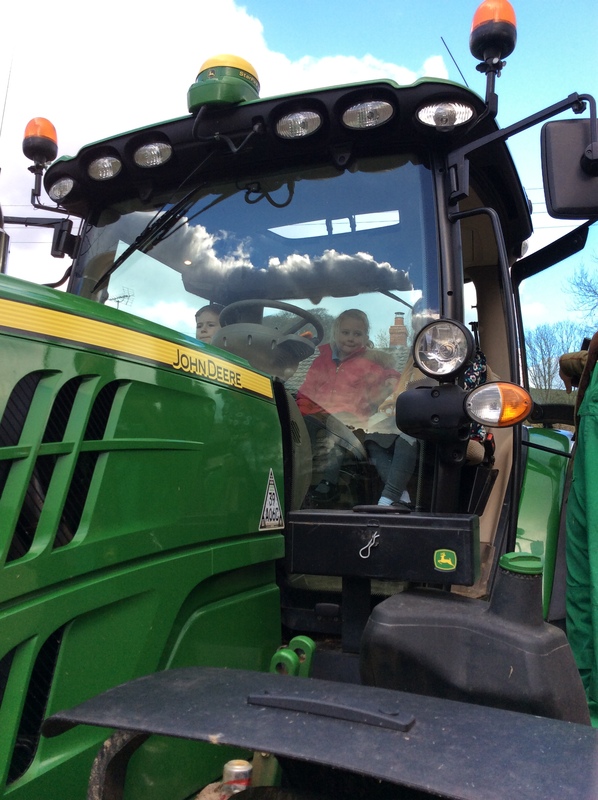 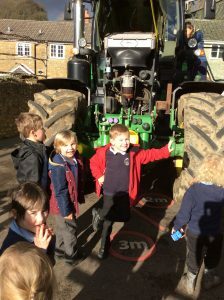 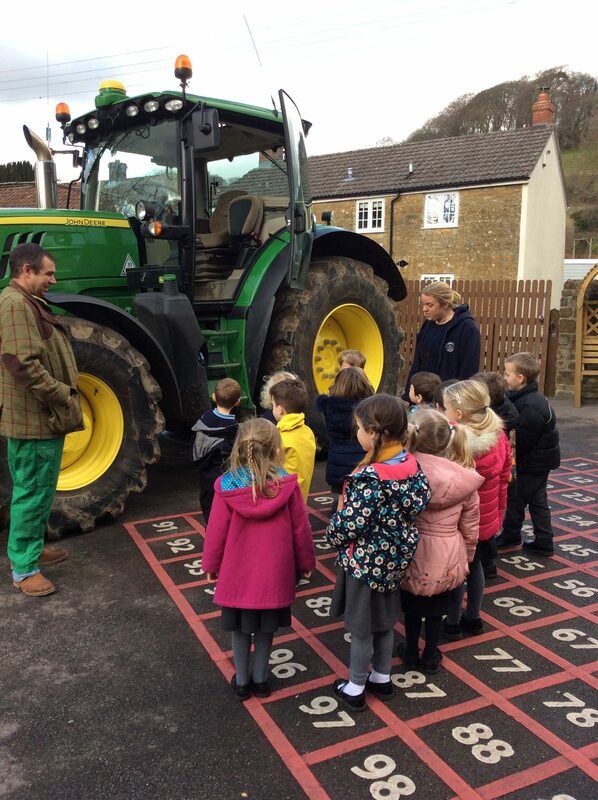 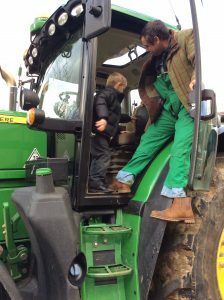 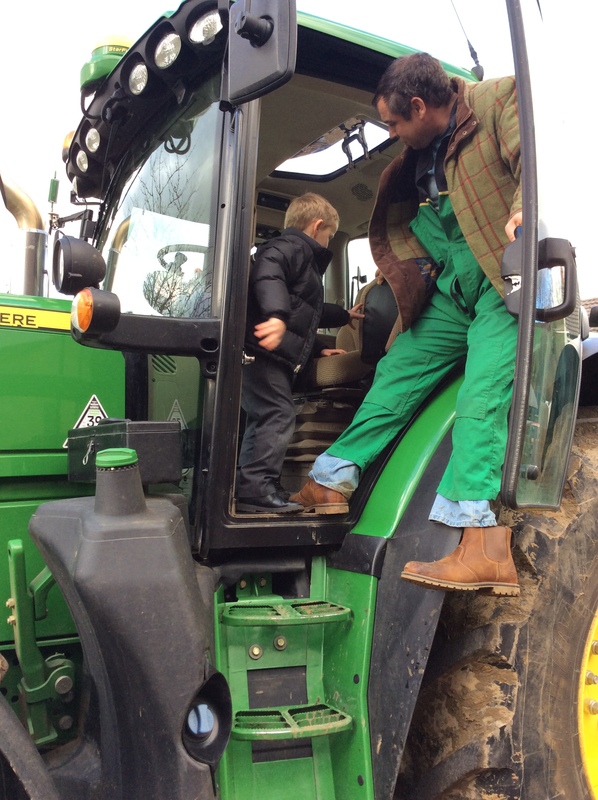 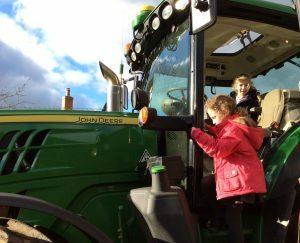 As part of their topic ‘On the Farm’, Eype class were delighted when one of the parents drove into the school playground in the biggest tractor most of us had ever seen! 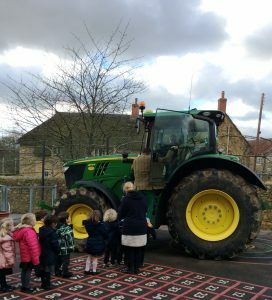 With its back wheels taller than the tallest teacher, the reception and nursery children were treated to a spell in the cab, honking the horn and turning the massive steering wheel. 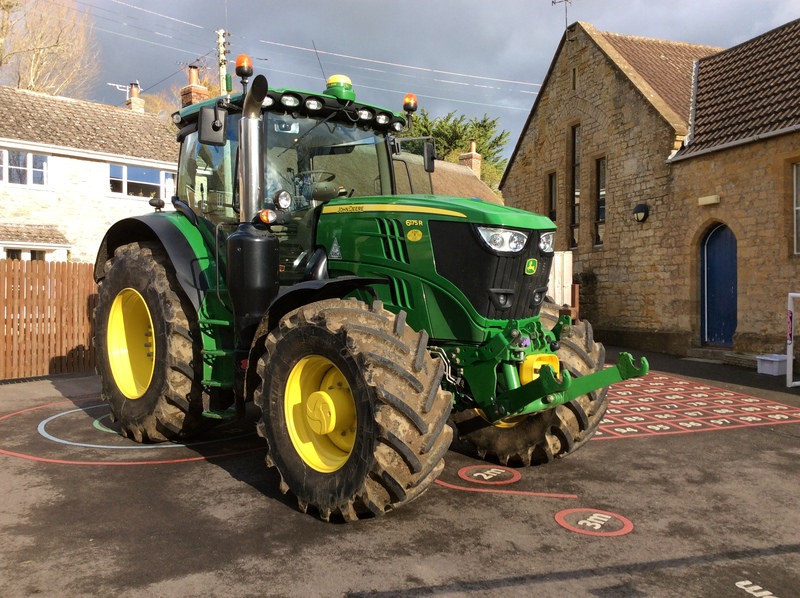 It wasn’t long before the whole school turned out to admire this beast of a machine. 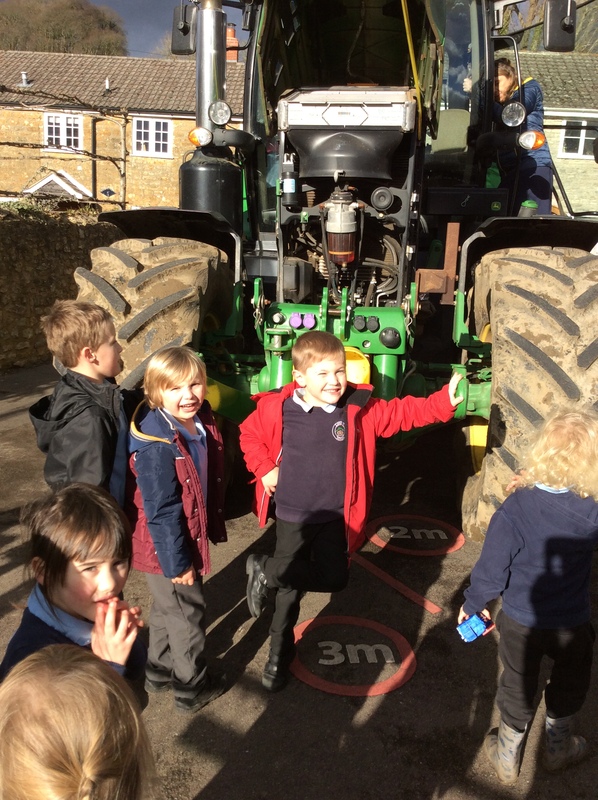 Thank you William, Amy and Tia’s Dad for bringing your tractor in to school for us.